The prison is a recent invention, hardly more than two centuries old, yet it has become the universal system of punishment. How can we understand the place that the correctional system occupies in contemporary societies? What are the experiences of those who are incarcerated as well as those who work there? To answer these questions, Didier Fassin conducted a four-year-long study in a French short-stay prison, following inmates from their trial to their release. He shows how the widespread use of imprisonment has reinforced social and racial inequalities and how advances in civil rights clash with the rationales and practices used to maintain security and order. He also analyzes the concerns and compromises of the correctional staff, the hardships and resistance of the inmates, and the ways in which life on the inside intersects with life on the outside. In the end, the carceral condition appears to be irreducible to other forms of penalty both because of the chain of privations it entails and because of the experience of meaninglessness it comprises. Examined through ethnographic lenses, prison worlds are thus both a reflection of society and its mirror. At a time when many countries have begun to realize the impasse of mass incarceration and question the consequences of the punitive turn, this book will provide empirical and theoretical tools to reflect on the meaning of punishment in contemporary societies. Didier Fassin is James D. Wolfensohn Professor of Social Science at the Institute for Advanced Study, Princeton. "So this case is quite extraordinary!" That driving one's vehicle with a revoked license can lead to prison, and how the carceral world is both a mirror for and a reflection of society. A recent invention. That the punitive turn of the late twentieth century has led to a carceral inflation that is presented as justified despite the evidence, and how a study in a short-stay prison can shed light on the consequences. "Put me in solitary!" That contemporary developments in penal policy and practice have precipitated prison overcrowding, and how they reveal a way of dealing with inequalities. "Let’s face it." That the overrepresentation of ethnic and racial minorities in a short-stay prison is rendered invisible, and how disparities in social structures and the penal chain help to explain this. "Tell them I'm holding up." That incarceration shock means different things depending on whether one is a judge or correctional staff, and how the prison attempts to mitigate its impact by applying the European Penitentiary Rules. "There shouldn't be all this wasted time here." That imprisonment represents a spatial, temporal and sensorial experience without equivalent, and how each individual strives to cope with the emptiness of prison life. "It's their way of resisting us." That the usage of the peephole, the circulation of cellphones, and the exchanges of tobacco say a great deal about life in prison, and how everyday objects speak of politics and morality. "I never tell anyone what I do for a living." That prison staff suffer from an undeservedly poor reputation, and how comparison with the world of law enforcement helps better understand the world of the guards. "He's not a bad guy: it’s just he's fed up with being in his cell." That violence between inmates and assaults on staff are less unpredictable than is claimed, and how we can understand the rationales of violence. "The problem is that prisoners have more rights all the time." That the carceral regime is imposed on programs of work, assistance, and education, and how the law in prison does not always guarantee more rights for inmates. "I've called you in because we're dealing with a serious situation." That the proliferation of security measures contributes to reinforcing the carceral order, and how small adjustments of the rules are nevertheless negotiated day to day. "Before, it was a hearing. Now, it's a proper tribunal." That the thinking behind distribution of sanctions resists advances in disciplinary law, and how some punishments are survivals from the prehistory of prison. "Prison prepares you for coming back to prison." That the rarity of sentence adjustments leads to unprepared release that fosters recidivism, and how ultimately it is easier to enter prison than to leave. Research put to the test of time? That the inertia of prison resists attempts to change it, and how the carceral condition, despite being traversed by the reality outside, remains an irreducible fact in terms of meaning and experience. "To understand something, you have to live it." That research in a carceral environment, and writing about life in prison, involve a particular conception of the social sciences, and how ethnography helps us to understand and lead others to understand the contemporary world. "In his penetrating field study, Didier Fassin introduces English-speaking readers to the social process of incarceration in France, from the courtroom to the prison. Fassin shows how a poor and largely immigrant population becomes entangled in a criminal justice system whose everyday operation reflects and reinforces the contours of social and economic inequality. Remarkable in its range and empirical detail, this is important reading for students of crime, law, and urban life." "Prison Worlds is simply extraordinary. It is at once a philosophy and history of modern prisons and punishment, an ethnography of French male prisoners, a racial and socio-economic theory of incarceration, and a searching meditation on world that locks up so many so cruelly and so thoughtlessly for so little. The narrative is elegant, the stories are searing, and the scholarship is impeccable. 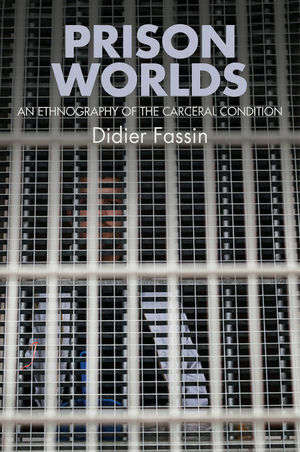 Fassin's work will sit next to Foucault's Discipline and Punish as among the most important works on carceral punishment of the past century." "As I read it, I felt that I was going on a long train journey with a wise and chatty French professor: the book is full of vignettes of life and snatches of conversations, all grounded in a huge range of global academic sources."